Parenting is tough and when you become responsible for the life of another human being, you would want to make sure that you are only using the best products for them. We do our best to keep a non-biased review on products that are relevant to moms and dads – and we do that by putting together products and comparing them side by side in terms of features, functions, price and other product highlights. 1. 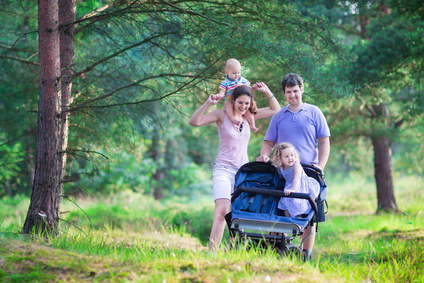 Why Should You Get A Double Stroller? 4. Where Do You Plan to Use Them? 5. How Long Do You Plan to Use Them? 6. How Often Will You Be Using Them? 7. How much is Your Budget? Parents who have or are expecting multiple children will find that double strollers are extremely useful when getting outside to run errands or simply stroll around the park. Looking after one child is already a huge undertaking but even more so if you have another. Double strollers are a perfect way for parents to strap and monitor two children into a single space – so everyone can enjoy the day. Whether you have twins or ordinary siblings, double strollers with extensive sun shades, huge storage bins, backseat reclines and adjustable leg rests make strolls with small kids a much easier and enjoyable activity to do with the family. But the question now is how to choose the right double stroller for all your needs. With so many available in the market, choosing among the different styles, quality, price ranges and other product features is enough to give you a headache. 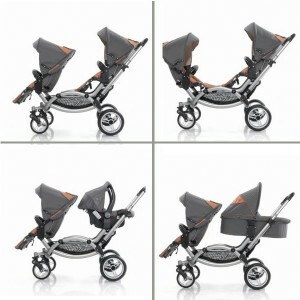 Going through each and every section might just help you give a clearer view of what type of double stroller to go for. 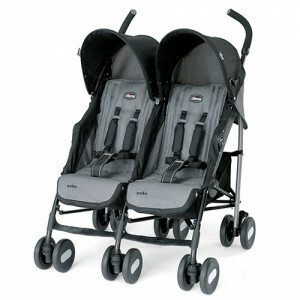 Double strollers come in two basic designs: side-by-side and in-line models. Each one has its own advantages and disadvantages but the decision on which one to go for ultimately depends on the type of experience you want the children to have. Side-by-side double strollers are models which have seats that are placed next to each other. It is usually the most preferred type of product mostly because it offers the children the same experience for the entire ride. Side-by-side models have equal sized seats and similar features such as recline, pockets and protection from the sun or the rain. The only problem with these double stroller models is that they tend to be wide thus making it very difficult to navigate through narrow halls and doorways. It will require a little more effort to get them through narrow areas and also tricky to store and lift them because of the wider folded package. Even so, a side-by-side double stroller are usually much easier to navigate compared to the in-line models and will pretty much feel like you are using a wider version of a regular stroller. In-line double strollers are models in which one seat is located in front of the other. This creates very different riding experiences for the passenger which may be a cause of conflict for the children. Depending on the brand, in-line models may have similar or different features. For some, seats can be found at similar heights but other models can have the rear seats higher than the lower seats, or vice versa. The main disadvantage of using in-line double strollers is that in most brands, the seats very rarely come with similar features. For example, some may not recline as far as the other and others may not even have certain features like snack trays or cup holders for the other seat. As such, an in-line double stroller might be a much better choice for siblings that have a larger age gap than for twins. A big plus though is that the style allows for easy navigation around narrow spaces compared to their side-by-side counterparts. Another very important thing to consider with double strollers is their flexibility to accommodate certain items. For example, some models are actually not fit for carrying two infant carriers at the same time so it may not be the perfect product to use for children of the same age. You can consider going for car seat frame strollers during the first few months or you could always try to find one that works for all your needs right away. Households with children of different ages may find it much easier to look for the right type of double stroller style since there is no need to worry about getting every single feature the same for both seats. Unfortunately, most strollers that do allow same-age features such as putting in two infant carriers at the same time (as if there were actually a lot to choose from) are not quite strong in terms of the other features. The only way parents can get around this is to buy two separate strollers, which is probably not an option for most, or simply let the kids come to a compromise and take turns in who gets to ride on which seat. Finding a double stroller that can go beyond simply carrying two kids from one destination to another is already a feat in itself. However, getting a model that can are great for use beyond a leisurely stroll around the neighborhood park (think other outdoor activities like jogging, biking, hiking or even skiing) is a huge thumbs up. Fortunately, there are quite a handful of double stroller models that allow outdoorsy parents to take their kids out and introduce them to their hobbies. There are models that are great for exploring trails in the woods as well as those that work perfectly even when going down a hill, riding a hike, or running on a steady pace. If you plan to use double strollers on a much longer trip such as when you decide to go to the groceries or museums or even for longer, whole day trips outside, certain bells and whistles such as huge sun shades, reclining seats, storage bins, food trays and cup holders are a very wonderful and useful addition. These options make trips so much more comfortable for kids and parents will find it convenient that they can simply stow away their kids’ items in the little pockets. If you are one who will simply be taking your kids out around the block in a stroller then you might not exactly need all these added features. There are plenty of options for more minimal rides at even lower prices. You certainly do not want to be spending a huge amount of money on double strollers when you are not even planning on taking them out on a regular basis. Occasional trips may not require more features than you think and certain options in terms of versatility might become of very little use to you. Parents who go on regular trips outdoors with their kids might want double strollers packed with far better features. Sometimes, this could mean adding in a few options such as the flexibility to be used in different types of terrains. Other features might also be necessary for regular trips but you have to remember that this can come with a price. It would be a lie to think that budget is not a major factor in choosing which double stroller to take your kids on but it definitely can be a make or break thing. Cheaper price tags may not always mean lower quality but it certainly means that many key features are being taken away. All that will be left in extremely cheaply priced double strollers is the ability to seat two kids while still providing ample coverage from the sun. Obviously, the more bells and whistles you want added in your double strollers, the higher its price can also go. Prices for models that are designed for more adventurous journeys can go up very easily so you will have to make sure that it is one that you will use on a regular basis – or you will just be simply throwing away your money. Price certainly is not the only factor to consider when choosing a double stroller but it certainly is a huge factor. 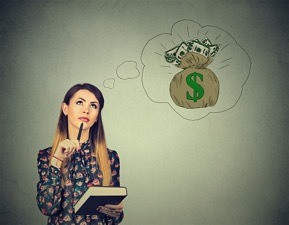 You have to remember that while you might be opting for a cheaper model up front but if it does not function well or does not offer as much, it may be hard to resell the product in the future at even half its price. We hope that our more detailed guide on how to choose a double stroller has helped you. (Or gave you more things to consider, perhaps?) Just be ready to test out each model that you are eyeing for and see how comfortable you and your kids are when using them. Put both kids on, push it around the store and test it around for as long as you can. Choosing the perfect double stroller should be a compromise for both the rider and the parent pushing it.